Jane McGonigal, PhD, is a senior researcher at the Institute for the Future and the author of The New York Times bestseller Reality Is Broken: Why Games Make Us Better and How They Can Change the World. Her work has been featured in The Economist, Wired, and The New York Times and on MTV, CNN, and NPR. She has been called one of the top ten innovators to watch (BusinessWeek), one of the one hundred most creative people in business (Fast Company), and one of the fifty most important people in the gaming industry (Game Developers Magazine). Her TED talks on games have been viewed more than ten million times. 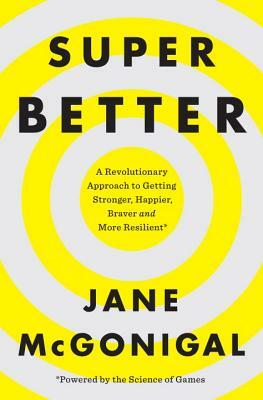 "For those in search of a new self-help regimen, "SuperBetter" might just be the answer. Strong medical research and firsthand accounts provide evidence that playing games can make you a healthier, happier, more confident person."